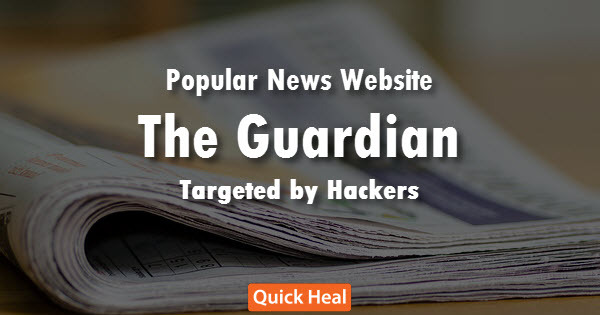 An article published in 2011 on popular news website The Guardian was found to be redirecting visitors to a landing page containing the notorious Angler Exploit Kit. Read the rest of the story from what follows. When it comes to hackers, no website is safe; not even the popular and trusted ones; a classic case in point is a 4-year-old article that was published on The Guardian. 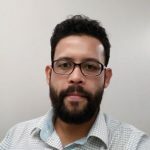 It was found that the article was harboring a malicious link that was automatically redirecting visitors to a landing page hosting the Angler Exploit Kit. Now, here are two important things to note – first, the irony of the whole situation. The article used for the attack is entitled “Cybercrime: is it out of control?” So, that’s there. Secondly, what is this Angler Exploit Kit. Here’s a quick brief about it. To begin, Exploit Kits are software/packages that contain pre-written codes (exploits) that take advantage of software flaws present in the Operating System of or the programs in the targeted machine, in order to drop a ‘suitable’ malware infection. These exploits are targeted toward users running outdated or insecure software applications on their machines. About the Angler Exploit Kit, it first appeared in 2013. And since then, cyber criminals have been increasingly using it to target their victims; hiding it in several web pages. Like other exploit kits, once executed, the Angler Kit starts scanning browsers with outdated versions of Java, Flash Player, Adobe Reader, Microsoft Silverlight, etc., and then deploys the exploits accordingly. What is most worrying about the Angler Kit is, it has been found to be ‘Ransomware’ focused. In other words, the Kit is being increasingly used by hackers to infect their victims with Ransomware – a malware that either locks your computer or encrypts all your data, and demands a ransom to unlock it. Read more about Ransomware here. Using outdated software in your device is like sitting on top of a time bomb – it can go off at any moment. As evident from what we have discussed earlier, exploit kits are like a box full of exploits that can target more than one type of program in the user’s machine. So, what is the solution here? Simple, keep your OS up-to-date with all the recommended security patches, and programs updated whenever notified. No website, however well-known or trusted, is immune to cyberattacks. And unless we are IT security professionals, it is impossible for us to detect any malicious activity in any website that we visit. What is the solution here? Have an antivirus software that can automatically block access to sites with malicious links. In this particular scenario of The Guardian, an antivirus software might not block access to the website itself. But, it will ensure that the automatic redirection does not occur – which, in fact, is the main danger. Previous postBeware of the Apple ID Suspension Phishing Scam! I have installed QuickHeal Internet Security and PC Tuner on my Home Laptop. I have installed QuickHeal AntiVirus Pro and PC Tuner on my Office Laptop. Both the Laptops have valid licences for these two Softwares. QHIS is expiring on January 2016 and QHAVPro on July 2016. 1) When will the QH PCTuner licence expire ? 2) Out of the the combination of QHIS + PCTuner in a PC or QH Total Security (standalone) in a PC, which is the best ? Obviously QH Total Security (standalone) in a PC is the best . My quick heal product validity is up to 28/01/2016 and here in renew option there is an option about 3 months extra validity and period is within 31st dec, which is between my licence period. so what I should do? If you renew before 31st Dec, 3 extra months will be added to your previous validity. You won’t lose out on the validity left in your license. I am using Quick Heal Total Security.still a virus thread attacked my laptop recently.Suggest me solution. Thanks. i installed a quick heal one year antivirus in 2013…but now it’s out of date. can i update it from internet? Thanks for writing in. Yes, you can. Simply hit the ‘Update’ button on the dashboard. If you face any issues, please visit http://bit.ly/QHSupport and click ‘Chat with Us’. You can also raise a ticket at http://bit.ly/Askus and we will get back to you at the earliest. I m very happy to got guardian Antivirus .it is very effective ,self auto scan,auto updated,and user friendly. How can i renew my antivirus. my antivirus is guardian netsecure…. Please click on the Update button on the dashboard of your Quick Heal product. this antivirus is very good .